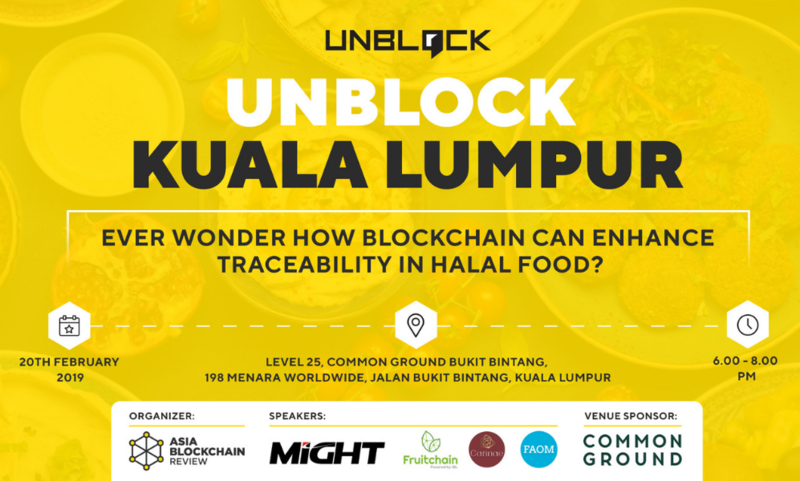 Unblock Kuala Lumpur: Ever Wonder How Blockchain Can Enhance Traceability in Halal Food? Asia Blockchain Review is back for our next meetup, titled “Unblock Kuala Lumpur”, bringing you news and updates on what’s been happening in this exciting space. We’re teaming up again with MIGHT & Fruitchain to look into how innovative technologies like blockchain is presenting new opportunities in the agriculture sector. A big thank you to our venue sponsor, Common Ground Bukit Bintang a coworking and events space.